AC Milan set their sights on another Chelsea star! This Chelsea star didn’t sign a contract extension and could leave on free. However, it seems A.C Milan is keen to lure him. Before signing any new players in the upcoming winter transfer window, Chelsea will have to look at the number of players whose contract will expire at the end of the season. With the likes of David Luiz, Victor Moses and Gary Cahill yet to sign a contract, it seems the Blues might lose them for free. 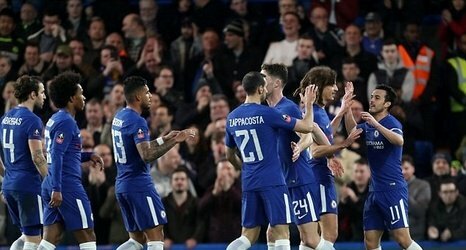 Italian Giants A.C Milan is also said to be keen to sign this Chelsea star. AC Milan reportedly makes contact over a transfer for Chelsea’s Cesc Fabregas. According to Calciomercato, Fabregas is being eyed as a potential cut-price signing. The former Arsenal man’s contract at Stamford Bridge will expire at the end of this season. Milan midfielders Giacomo Bonaventura and Lucas Biglia are injured. Both of them are suffering from knee ligament and calf injuries. The injuries have said to have pushed the Rossoneri to intensify their search for winter recruits. Chelsea could lose Cesc Fabregas in January. Fabregas, 31, has made three Premier League appearances this season but is yet to start a top-flight match under Maurizio Sarri. The former Barcelona and Arsenal midfielder was out with a knee injury at the start of the season. Fabregas made his first appearance in the competition this term against Burnley, coming off the bench in the 78th minute. Fabregas has played only 48 minutes of Premier League football in the six weeks since making those comments. His only start this season have come in the UEFA Europa League and the Carabao Cup. Chelsea spent £50 million to acquire Jorginho from Napoli. Sarri signed Mateo Kovacic on loan from Real Madrid late in the summer transfer window. Fabregas’s high wages is the stumbling block for Milan. The Italian club wouldn’t be able to match the £156,000 per week he earns at Chelsea. A.C Milan may be keen to lure Fabregas but it seems the Spaniard is enjoying Sarri. The former Barcelona himself said he is feeling young and relived under Sarri. With A.C Milan struggling to finish in top 4, it may fend off Fabregas from joining the Serie A side. But if A.C. Milan signs him then he will an important part of their rebuilding process to compete with the top level of clubs across Europe. Manchester United’s bid for star defender rejected!